Estimating is described as the process of approximating unknown parameters using measured and empirical data that has a random component. In the case of HVAC Estimating Software as it is relates to HVAC Sheet Metal Estimating, HVAC Mechanical Estimating and HVAC Piping Estimating the objective is to accurately calculate labor and materials based on measurable project specifications. The random component in estimating a project accurately involves detailing the many specifications for a project and applying the appropriate labor and material component. HVAC Estimating Software attempts to capture all of the specifications in a project and apply the measured labor and material component to the specifications. The formulas embed in the HVAC Estimating Software calculate the labor and materials for every component of the project specifications. HVAC Estimating Software providers have taken various approaches to accomplishing this task. As an example, Wendes HVAC Estimating Software applies labor and material calculations based on a per piece method of fabrication for HVAC Sheet Metal Estimating and unit calculation for HVAC Piping Estimating. The Per Piece and unit methodology break down the labor and material component into the smallest variable and provide detailed information for each. Project Specifications are detailed in the software prior to estimating in order to provide a detailed calculation for the labor and material component. HVAC Estimating Software will also account for many prefernces and conditions that are required in a project specification. Other factors such as uniques processes that are employed by the HVAC contractor are also considered. HVAC Estimating Software is an accurate and effective tool in calculating the many specifications,methods and conditions used in fabricating complicated HVAC Ductwork systems used in commercial HVAC heating, cooling and ventilating systems. A similar estimating process for calculating labor and materials may be applied to manual estimating with spreadsheets , however, capturing the many variations in specifications and conditions is complex and time consuming. 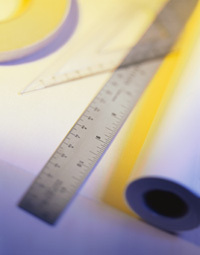 Estimating is the cornerstone for the success of any company attempting to bid projects accurately and competitively.